It’s been over 15 years since the last time I visited the North of Thailand. It might as well have been a lifetime ago, certainly too long to clearly remember anything about the region. Being short of time and wanting to make the most of the trip I decided to try the Mae Hong Son Loop. Like all good ideas this was based on the recommendation of a friend. The hard part was the planning. I started off with some online research (travel planning though is not my strong point). Let me roll things back and start at the beginning. The Mae Hong Son Loop is one of the most popular, but definitely not the only, motorbike loop you can take from Chiang Mai. 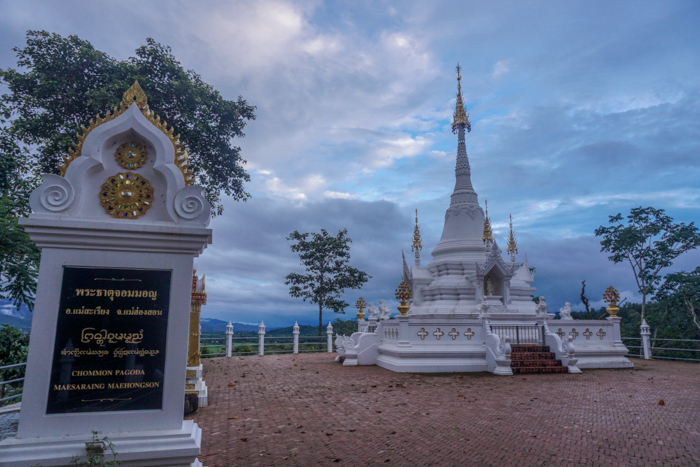 Done the right way takes you from Chiang Mai through the towns of Pai, Mae Hong Son and Mae Sariang. The loop edges the border of Myanmar and Laos in an area once renowned for its opium poppy fields. Depending on how much time you’ve set aside the journey takes anywhere from four days through to a week or more. For all my slip-shod plans the trip was a lot of fun. To help save you the hassle of travel planning I want to share my hard learned tips about the Mae Hong Son Loop plus what you can actually do on your trip. Renting a motorbike in Chiang Mai is a piece of cake. There are plenty of rental agencies around town. The price for a standard 125 cc bike starts from 200 Baht a day and goes up to 250 Baht (depends on the bike and the model). We got a Toyota, which cost 200 Baht a day. The rental agency was pretty easy going. They asked for a 3,000 Baht deposit. Some agencies might ask you for a passport. I did a quick check of the bike with the person at the agency before agreeing to the rental. If you’re going to take photos of the scratches, which is a good idea, make sure the person you are renting the bike from sees you take the photos. While it might be obvious, you need an international license to ride a motorbike in Thailand. If you don’t have a license the current fine is 500 Baht. You’ll be issued a ticket, which lasts 7 days. Keep this safe! It’s like a driving license (you can’t be fined again within those 7 days for not having a license). The first leg of our journey was a long one. It’s a bit over 200 km/ 5-hour drive from Chiang Mai to Mae Sariang. Most of the route is on the dual carriageway and major B roads. Our first day on the road was pretty miserable. It was grey and it rained a lot. To top it off I made the mistake of not filling up the tank just before we passed through a huge uphill stretch of road with no petrol stations, which left me on edge. 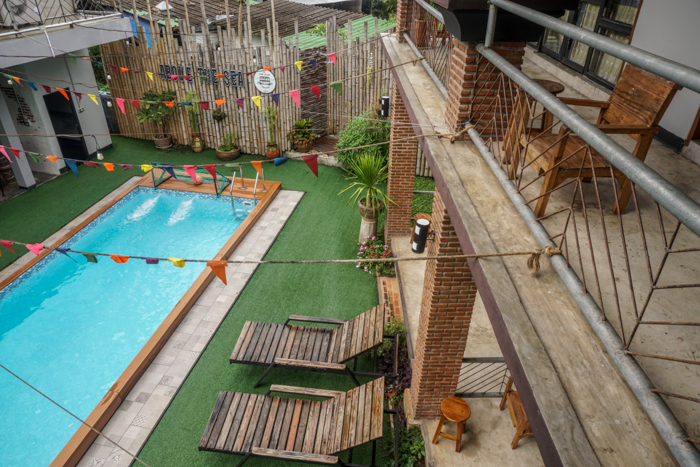 When we eventually arrived in Mae Sariang we checked into the rather funky Above the Sea Guesthouse. The owner was super friendly. He took out a map and showed us the best places to visit and then shared some tips on where to go on our road trip. Sometimes the owner really makes the place special! The town is quiet. We took a relaxed afternoon walk around the temples around the town. Towards evening we visited the stupa at the sunset point (Wat Phra Pae) and finished the day with a meal at one of the restaurants by the river. The second day was another long drive. It’s around 180 km from Mae Sariang to Mae Hong Son (where you are supposed to stay). And we’d decided to stay in Soppong, which was an additional 50 km out of town. According to the guides the best thing to do around is check out Wat Phra That Doi Kong Mu, which is by the lake near the center of town. After a few days in Chiang Mai though we were Watted out. So instead of soaking up culture we decided to have some fun at the Poo Klon Country Club. I’d never had a mud spa before. We opted to do the full body mud spa, which cost 700 baht per person. The session took 90 minutes. We got covered in mud, dried out in the sun and washed off. Then we had a second coffee, tamarind and yogurt coating and another shower before soaking off in a thermal bath. The mud spa was a lot of fun and something completely different (nice to mix up experiences). After the spa session we drove the final leg to Soppong. We’d chosen to stay at beautiful Soppong River Inn. It’s probably one of the best budget-friendly hotels I’ve stayed in. The third day on the Hae Hong Son Loop was relaxed. We woke up late and had a big breakfast at the hotel. 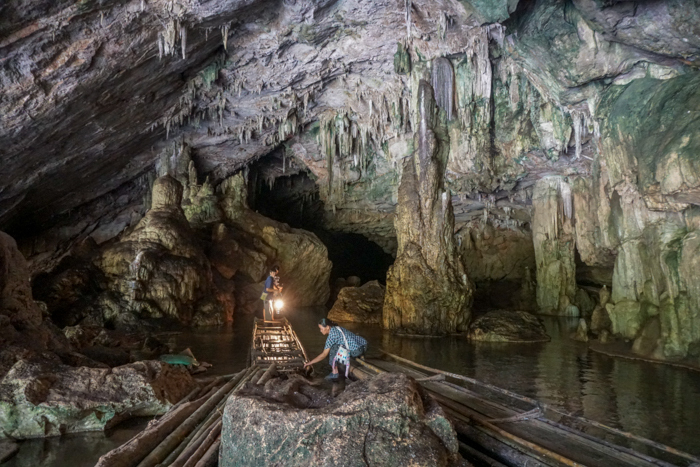 Our first stop for the day was Tham Lon, a huge system of underground caves that stretch over 1.5 km. Enormous pillars, stalactites and stalagmites fill the caverns. Our tour of Tham Lon felt nicely old fashioned. You enter the cave sitting on a simple reed canoe. The guide then takes you on a short tour around the cave. Everything was nicely arranged with signs and boards with short descriptions, which made up for the guides limited English. On the way to Pai we stopped off at the Yun Lai viewpoint (supposedly it’s a sunrise thing). It’s a Chinese style tea plantation. I’m sure it’s designed for the growing crowds of Chinese tourists passing through the area. The setting is picturesque and on a clear day you are treated to a beautiful view overlooking Pai. We spent a relaxing afternoon exploring the coffee shops and restaurants around Pai. My only regret is that we didn’t stay here longer. One of my favorite places was the Witching Well Restaurant. They have a nice hotel, Otium Boutique Room, attached to the property. The drive from Pai to Chiang Dao took a bit over two hours. We decided to treat ourselves. We booked a room at the Azalea Village. The cabins are simple, but beautiful. Plus there’s a pool and spa where you can relax. It was a great way to finish the road trip. My only regret was that we didn’t visit the sunrise spot at Doi Luang. If you do the loop in the dry season add this activity to your itinerary. The views look beautiful! Despite some of my silly mistakes, I enjoyed doing the Mae Hong Son Loop. Compared to my Indonesian road trips this was a walk in the part. The roads are well kept and there’s minimal traffic along most of the route. The only danger with this is you find yourself going faster than you should, so make sure to keep an eye on your speed. One thing to keep in mind if you are doing the tour by bike is that there aren’t a lot of petrol stations around. I tried my best to keep to the half tank rule (if your needle is near the half tank fill up your tank at the next petrol station you see). That’s really it. If you enjoy road trips or just doing something a bit different add the loop to your Northern Thailand ‘to do’ list. 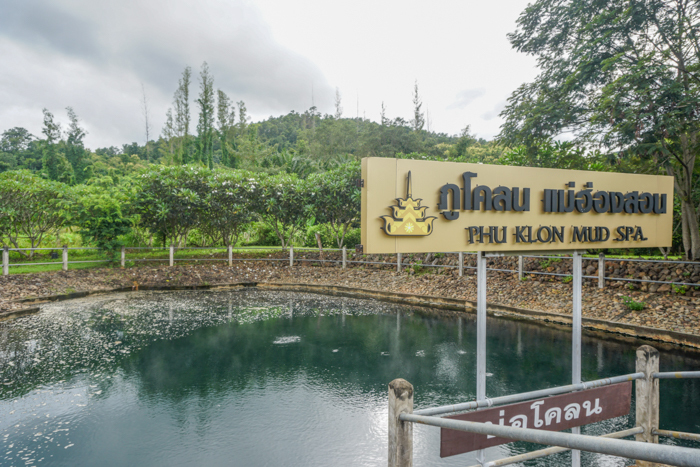 Have you done the Mae Hong Son Loop? Did you do it the right way round 😀 Share your thoughts with other travellers in the comments below. What a wonderful place. I hope to visit this place one day. Thailand is magical and exotic! I was there 5 years ago and still remember it’s beauty. Thank you for that reminder, regards!